FORGIVE ME, I'LL COME HOME. Copyright, 1891, by J. C. Groene & Co. It's nearly three years now since then, heartbroken and alone. 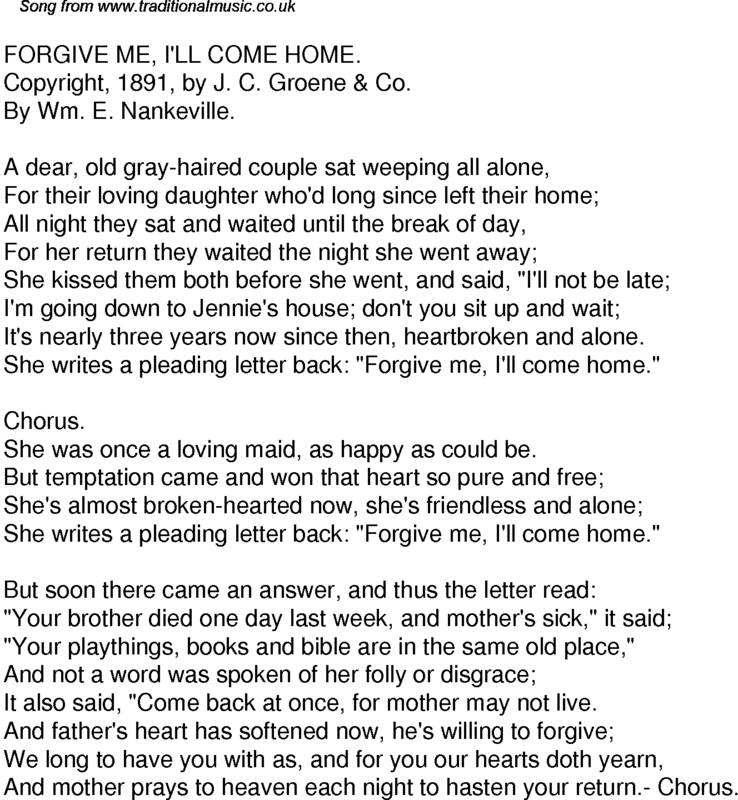 She writes a pleading letter back: "Forgive me, I'll come home." She was once a loving maid, as happy as could be. "Your playthings, books and bible are in the same old place,"
It also said, "Come back at once, for mother may not live. And mother prays to heaven each night to hasten your return.- Chorus.